For the first time in a bit, the temperature actually rose well above 70 degrees without drenching St. Louis in rain. Needless to say, I absolutely welcomed the first true opportunity to break out the lighter weight gear, including a bit of linen courtesy of the good folks over at Banana Republic. If you've followed the blog for some time, you probably know that I firmly believe that even when "dressing down," fit is still important. I agree with the thought shared by Hardy Armies that states, "a man should look as if he had bought his clothes with intelligence, put them on with care and then forgotten all about them." 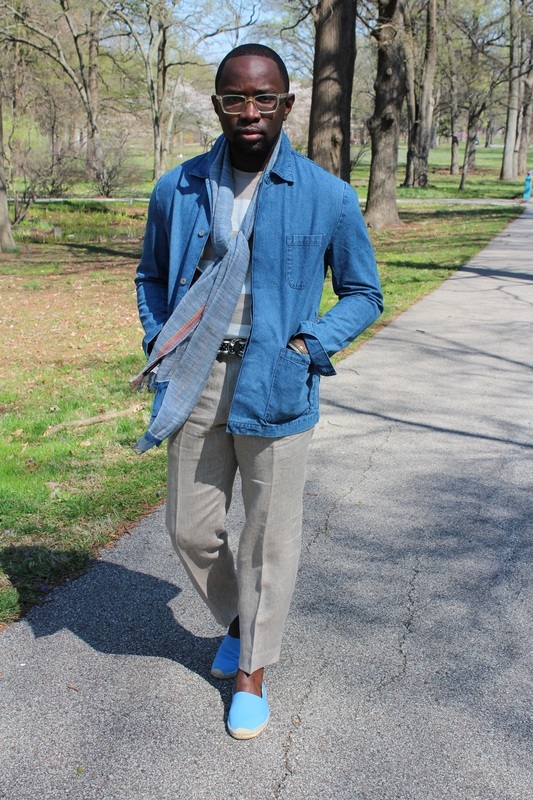 I personally interpret this as being intentional in how I present myself regardless of whether I'm taking a stroll through the park with my wife on the first truly decent day of the year weather-wise or heading into the office. I think there is an appropriate way to dress for each day. 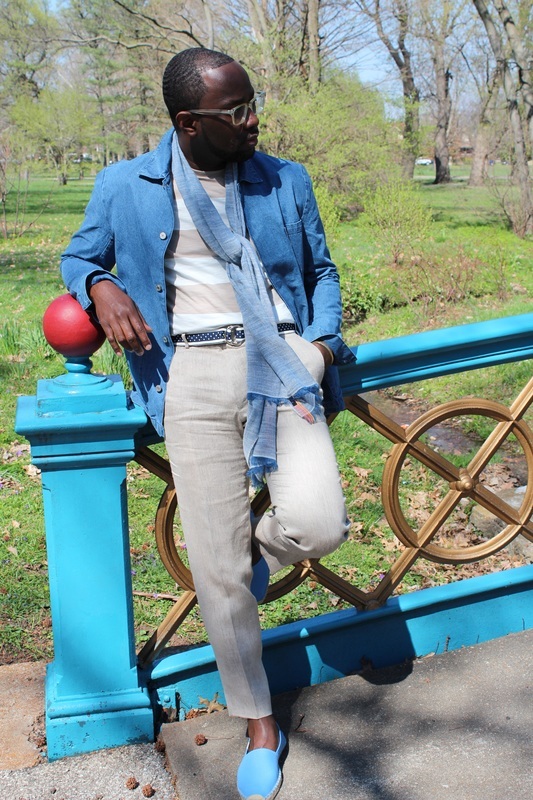 While I'm typically not a fan of linen when it comes to tailored clothing, I also acknowledge that its because the fabric is far too casual for the environment I find myself in about 85% of the time. 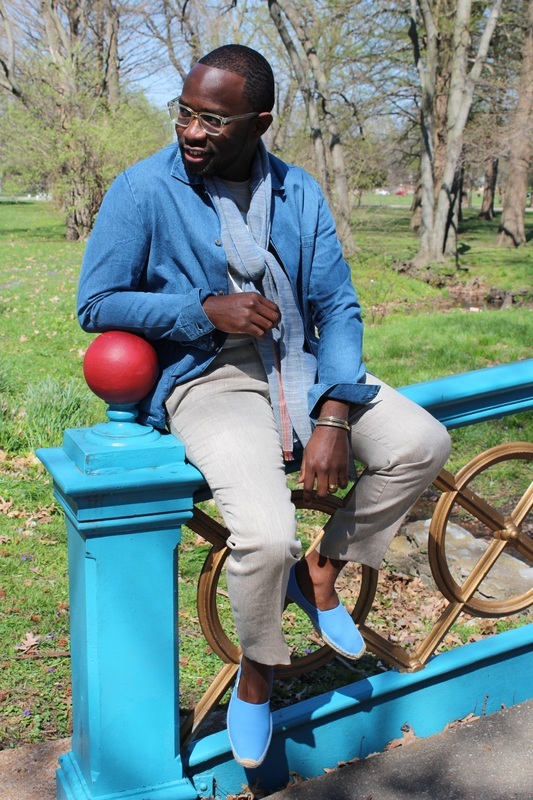 However, considering that tailored clothing is my primary preference regardless of the day of the week, its great to have options like these Banana Republic linen trousers available for those "off" days. I've also become a fan of linen scarves as I think scarves have been considered part of fall/winter gear for far too long. They're an equally great accessory for those cool spring/summer days or if you're headed somewhere with a breeze. * Disclaimer: While the products featured in this post were provided at no cost by Banana Republic, all opinions shared are my own.